Zurich based Fintech Tradeplus24 has completed their Series A financing round, raising over CHF 120m in a mix of equity and debt, lead by SIX Fintech Ventures, Berliner Volksbank Ventures (BVBV) and Credit Suisse via its investment vehicle “Credit Suisse Entrepreneur Capital Ltd“. Tradeplus24, a B2B structured lender that provides working capital facilities to SMEs and Mid Cap companies has diversified its investor pool further by adding two prominent large financial institutions to complement its existing key investor Credit Suisse. SIX Fintech Ventures, BVBV supported by Redstone, Credit Suisse Entrepreneur Capital Ltd and several well- known angel investors participated in the Series A, further bolstered by increased debt facilities from both Credit Suisse and Ruvercap to support the growth plans. The transaction counsel was Alex Nikitine, Walder Wyss, who has supported TP24 since inception. 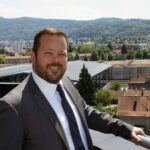 Launched in late 2016 and exclusively partnered with Credit Suisse and one Switzerland’s largest insurance advisor Kessler & Co AG (Marsh Network), Tradeplus24 specializes in supporting SMEs & Mid-Market companies with their working capital financing needs by providing an innovative worldwide receivable backed lending solutions that makes raising funds simpler and more cost effective. The solution is part of Credit Suisse’s product portfolio for SME clients in Switzerland who are looking for flexibility when it comes to open receivables. Client feedback has been very positive. The post Zurich Based Fintech Bags CHF 120 Mio in Series A Funding Round appeared first on Fintech Schweiz Digital Finance News - FintechNewsCH. What Happened to Fintech News Switzerland’s Previous Pick of Hottest Fintech Startups?